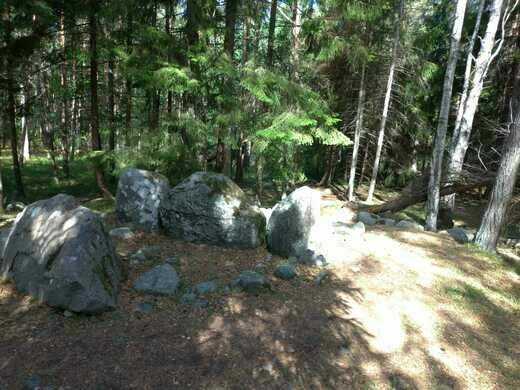 Ancient stone graves shaped like ships provided a Viking-like burial to carry the dead to the afterlife. Gotland is a Swedish island brimming with ancient structures, from Visby’s medieval city wall to a roughly 5,000-year-old megalithic tomb. 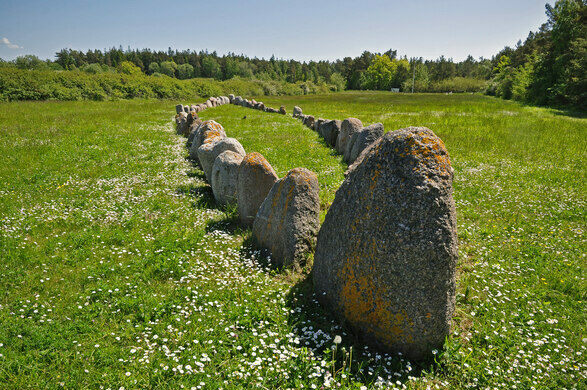 Some of the most fascinating sights are the stone burial “ships,” or skeppssättningar, found throughout the island. 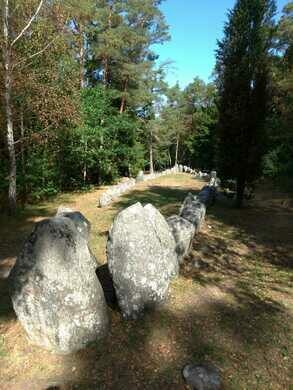 These ancient gravesites date from the late Bronze Age, between 1100 and 400 BC. The boat-shaped stone monuments were generally used as burial spots for an important member of this coastal community. The person would be cremated and their bones beaten to dust. These remains would then be collected in a stone urn and buried inside the ship. It is believed that this was done to equip the dead with everything they had in life and to facilitate the journey to the afterlife. 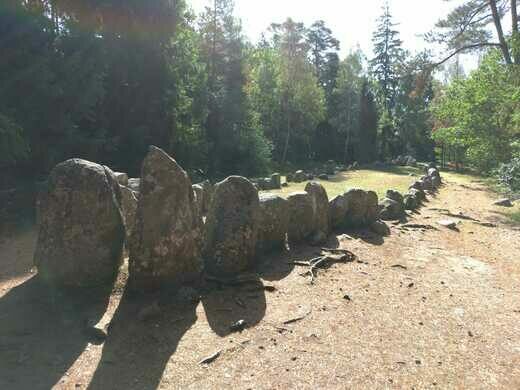 The stone ships in the village of Gnisvärd are among the best preserved examples of the ritual in Gotland, and one of them is also the largest on the island. 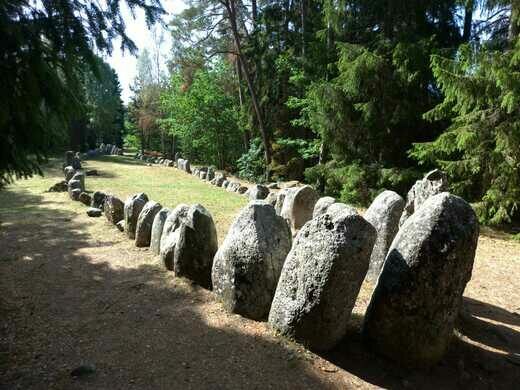 Made of around 100 tall stones, it stretches 148 feet (45 meters) long. The site contains three ships in total that are erected one after another as if going in a ghostly precession. 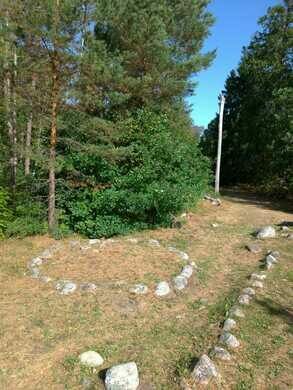 The lead ship is pointed toward an ancient megalithic tomb, the only one in Gotland. Archaeologists believe this was done to “moor” the newer graves to an old revered place. Easily accessible by car or by bus. Take the 10 to Knallen and walk the rest. The bus comes about once every hour. 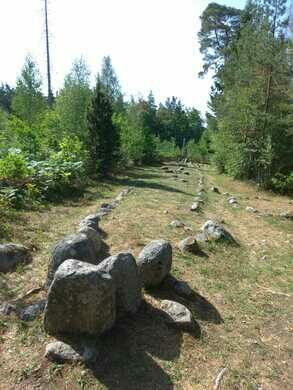 At the Gnisvärd site there are two obvious stone ships and two large stone circles that date back further. Across the road is an even older Stone Age grave. There are a few more circles and a small ship hidden in the shrubs. About 10 minutes further down the road is an even larger stone ship, but this is a replica that was erected within the last century. There are about 350 stone ships scattered around the island, and about 15 of them are visitable by tourists. Known locally as the Jungfrutornet, this Medieval tower hides a dark legend. This trio of stone spires claims to be the only preserved medieval execution site in Europe.